When the school year rang in this year, it was on the heels of the retirement for several long-standing educators from both Big Horn County School District No.1 and No.2. 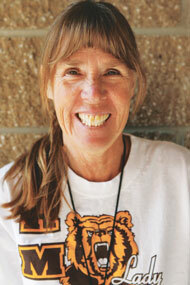 Diana Rodgers retired after seven years as the Title I teacher at Rocky Mountain Elementary School. Rodgers taught in Big Horn County School District No. One for 34 years. She saw many changes in the district over those years, including the consolidation of many small schools and the construction of the new school buildings that serve them today. Prior to her tenure in the district, she taught for nine years in the state of Michigan. She first stepped into the classroom in Wyoming as a fifth grade teacher and later taught first through fourth grades. When the principal asked her to take on the Title 1 teaching role, she jumped at the opportunity to work one on one with students to help improve reading and math skills for those who needed a little extra bit of help to stay on track with their studies. As a title teacher, she worked with grades kindergarten through fifth. Rodgers worked with groups of one or two and sometimes up to 18 children at a time helping students improve their reading and math skills. Rodgers said she performed many “interventions” over the years, helping students who were otherwise not succeeding in the reading and math programs in their classrooms for various reasons. “The idea was to set up special programs to help them get caught up so they could eventually go back to the regular classroom program,” said Rodgers. “I had a great year and I just knew it was time to retire,” said Rodgers, who is enjoying time traveling, working in the garden with her husband and spending time with her mother, who is 86 years old. “I was about to turn 66 and I had taught all of those years and I needed to take some time to relax and do some other things,” said Rodgers, who already misses the kids and the rewarding experience of making a difference in their lives. “I thoroughly enjoyed it and I’m already missing it,” said Rodgers. 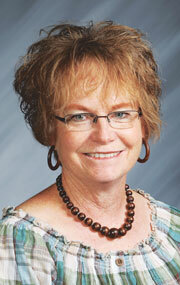 Carol McMillin also retired from Big Horn County School District No. 1 after 20 years of teaching Family and Consumer Science, PE and coaching the volleyball team. McMillin has continued coaching volleyball. “I decided to retire mainly because my husband works out of town and I would like to spend some time with him,” said McMillin. McMillin has suffered with rheumatoid arthritis since a young age and she said her disease makes the day a bit longer and harder for her because there are some things she just can’t do anymore. McMillin has two assistant coaches (Camaren Boettcher and Kayla Honeyman) who she says have bought into her philosophy and make a big contribution by helping with the physical aspects of training that are hard for her to do. Boettcher and Honeyman assisted McMillin in year 2010 when the team won the state championship. For 30 years Austin Gibbons taught skills like welding, auto mechanics and other vocational classes, as well as math during his teaching career at Lovell High School. Gibbons learned many of the skills he taught working on the farm along side of his father in Afton. Gibbons and his wife have moved to Afton to be closer to their children and grandchildren. Gibbons is back on the farm he inherited from his father. In the few short months since his retirement, he and his wife have built a house on the land and Gibbons has harvested two crops of hay. He hopes to have cattle on the land again some day, like his father did when he was a child, and now it’s his own children and grandchildren who are at his side. Paraprofessional Juanita Hawley retired after 19 years of service in School District No. 2. She began her career at the Children’s Resource Center and later went on to work at Lovell Elementary School, where she worked along side of a blind student from kindergarten through his successful graduation from high school and through a year of college. Hawley taught herself to read and transcribe Braille. Throughout the years she also worked with three other blind students, offering the support they needed to succeed in the classroom. “As a paraprofessional our job is to keep kids on track and to help them be successful,” said Hawley. Hawley said she learned as much from her students as they learned from her. So far, Hawley is enjoying her grandchildren, volunteering at her church and helping her cousin in her fabric store. Sleeping in and taking life easy is high on her list of priorities. 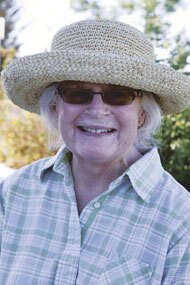 She sees a few road trips in the future where she plans to visit her grandchildren. 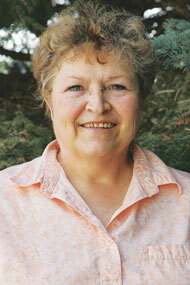 Darlene Moncur started teaching in Big Horn School District No. Two in 1986. She taught Family and Consumer Science part time at Lovell Middle School and in 2006 added teaching the same subject at Lovell High School, which filled the other half of her day. 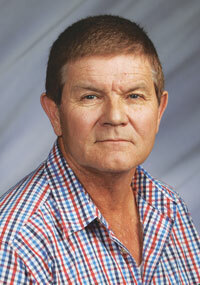 Moncur was the AdvancED Chair for School Improvement at Lovell Middle School for many years. Editor’s note: Moncur was out of town and unavailable for interview at the time this article was written.